KIMBERLY top can be worn in two way, wear it front and back side. Front sice and tie the bow or wear the back part and get the hi lo look. KIMBERLY also. Get two look with only one KIMBERLY. We call it up-graded casual. 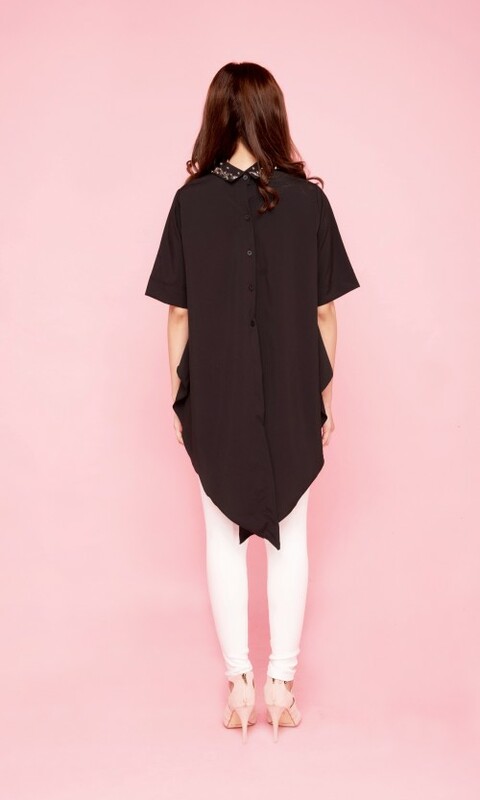 - Soft and light crepe in black color. - Reversible, two way to use. Tie it up or hang it loose. KIMBERLY is so versatile, you can wear it with anything, from shorts to skirt, anything you choose.